"Practice makes perfect....I am perfect because I practice." I very much think comparing yourself to others is bad idea for the most part. I do however think its wise to compare yourself to yourself. I love how doing the yoga challenges allows me to keep a record of where I have been. 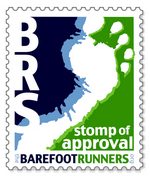 Its instructive in finding the path to where I am going. Today's Humble Beginnings Yoga challenge pose is Bakasana or Crow/Crane Pose. The focus of the week has been to Gaze and Focus or set your Drishti and Dharana. I took the picture on the left about six months ago. 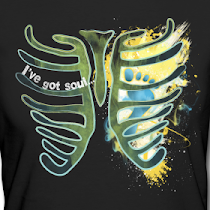 In October I started doing the GrowSoulBeautiful yoga challenge. (its a challenge to do a daily yoga pose and put a picture on instagram) Thats when I decided to really get a strong practice going. So this progress is only a few months of work. I can see that my arms, back, abs, and mind have all grown stronger. I held this pose for about 45 seconds or so. Yoga poses are in no way static. Tiny adjustments and subtle stabilizer muscle tweaking and firings are going crazy while the mind sits still with it all. Amazing stuff balancing is. Its good practice to gain focus and calm in the midst of the pose. I use that at other times in life when I find stillness amidst chaos. It takes practice. Change and growth take practice. Its an ebb and flow of strong and weak, tired and energized, happy and melancholy, fearful and confident. The practice is the journey which is the best part. I love to see pictures of these super strong and bendy yogis and yoginis but I also like to see those of us that are still working really hard to get some basics down. I can do a good crow but I couldn't do a Cow Face Pose to save my life!! My hips are where the nitty gritty work lies and I LOVE IT! I see where the work lies. You know when you were young and trying to find yourself. Well I think that never really ends because we are constantly changing but the real scary part of growth is not knowing which path to take. Thats what scared me most in my youth, not knowing what to do or where to go. We all want the "right" path but at times we don't give a damn, we just want a path, any path. Its the uncertainty and lack of direction that is maddening. I know where the work lies and that makes the work, which there is a lot to do, much easier to bear. I have direction and thats comforting to me even though I know the road will be long and hard. Speaking of work, my greatest work of all is mothering. 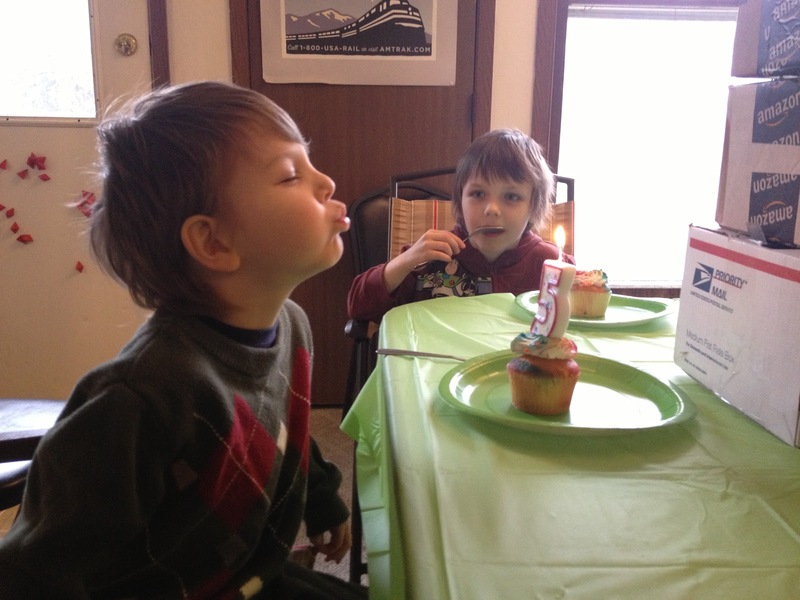 My youngest spawn, Archimedes Supercell, turned five years old today! We had a fun little surprise party for him with lots of balloons and decorations and cupcakes and ice cream. He said it was the best day ever. It feels like forever ago and yet just a moment ago that I was giving birth to him right here in this room that I sleep in. I can close my eyes and relive those awesome moments when I brought him into this world. He is a spectacular little human and I love the work of being his mother. That Archimedes sure knows how to make a wish! He closed his eyes and made all kinds of thinking really hard faces and he took his time too. His brother Milo knows how to do sweet things to try to make his brothers happy. He worked so hard to make things wonderful for Archimedes' special day. While Samson and Jupiter like to hang around and play, they also are getting to the aloof independent snooty age. They are 13 and almost 11. Archimedes and Milo however are in this scheming and planning stage and they test boundaries and try things out ALL THE TIME! 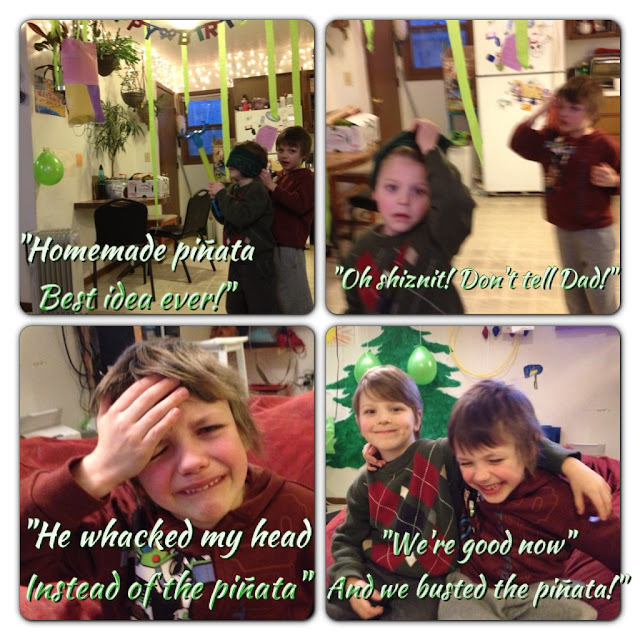 Today it was birthday themes so they made their own virtually indestructible Piñata. I didn't buy them one so they decided to make their own and use a lot of tape. Archimedes got four rolls of tape as one of his gifts. They go a million miles an hour and fight as hard as they play. They compliment each other in their strengths. They also make me laugh.... a lot!! One of the great things about a daily at home yoga practice is that I don't miss anything while I am doing yoga. It just goes on around me while I breathe and practice. Sometimes I get lonely being a self taught practitioner and yet today it occurred to me that my family shares in my yoga with me. They see me practice daily and they will remember my example. I am in fact teaching them and not at all alone. Perspective is also something to practice it seems. 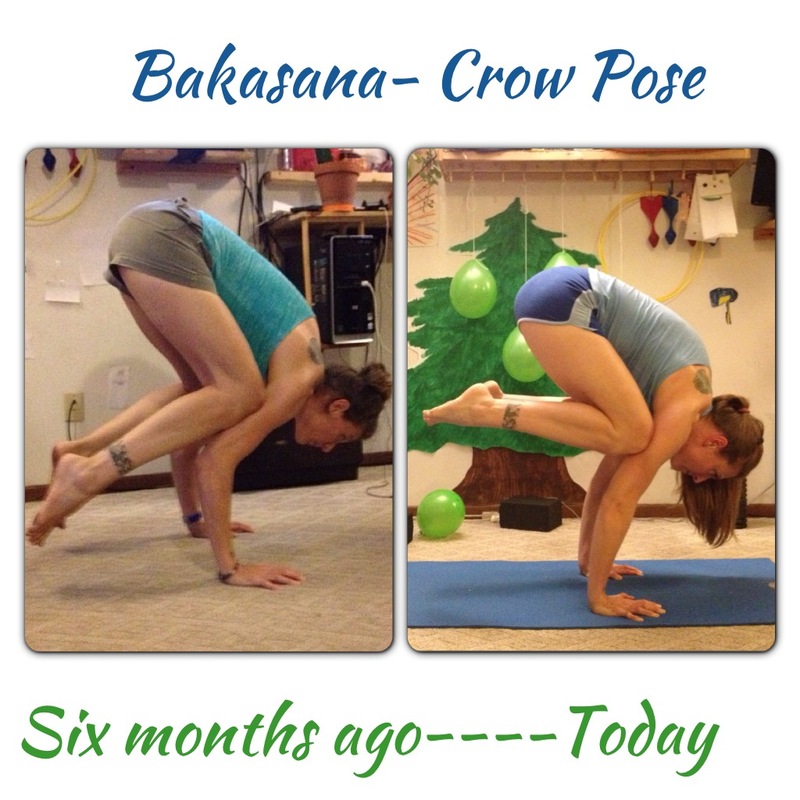 I love seeing your progress in crow and in all your poses. Your photos inspire me every day. Happy Happy Birthday to Archimedes! !